Remote work means the flexibility to work from anywhere outside the office, whether due to travel or distance to the local office, or by choice. Employees who work remotely might do so 100% of the time or part of the time. Some companies maintain a team of remote workers (aka a remote workforce), while others call upon a mix of office workers and remote workers. The distributed workforce is becoming the status quo, and they are demanding more flexibility in terms of when, where, and how they work. In response, more companies are incorporating flexible jobs and remote work into their businesses. It’s no wonder the concept of remote – or flexible – work is on the rise. Fuze’s report, Breaking Barriers 2020: How CIOs are Shaping the Future of Work found that 83 percent of workers feel they do not need to be in an office to be productive. Moreover, 60 percent of the App Generation (ages 15-18) and half of Millennials feel their smartphone and laptop are the only essential tools for getting their job done. In fact, a Gallup poll found that 43 percent of Americans did all or some work from home in 2016, up from 39 percent in 2015. Moreover, the number who worked remotely 80-100 percent of the time rose by seven percentage points. And companies are listening. According to Global Workplace Analytics, 40% more of U.S. employers offer flexible or remote work options today than they did five years ago. The Society for Human Resource Management also sees a growing number of businesses offering remote work options: 60 percent of businesses offered a telecommuting benefit in 2016, up from 20 percent in 1996. The same research revealed that more workers are demanding this flexibility. Fifty-three percent say they look for flexibility in a new role, and working remotely appeals to 85 percent of employees across the globe. No wonder IDC expects mobile workers to account for nearly three quarters of the U.S. workforce by 2020. As these trends underscore, the concept of work is no longer about a place but about being as productive as possible from anywhere. Today's remote workers want easy-to-use, seamless digital solutions that enhance their communication and productivity – because they know these tools exist. Unfortunately, disconnected, difficult-to-access and hard-to-use tools are the norm. Some companies don’t even provide purpose-built mobile communication tools. As a result, many remote workers turn to unsanctioned tools. While this shortcut puts better tools in employees’ hands, it leads to new challenges. On average, employees use four-to-six communication apps at work every day. Toggling between multiple tools wastes time and distracts from the work at hand. It also slows down workers in another way: research shows that the cognitive cost of switching between different tools to perform even simple tasks can be up to 10 IQ points. For remote workers, this translates into a frustrating, disconnected experience. For their companies, the result is lower productivity and difficulty attracting and retaining top talent. 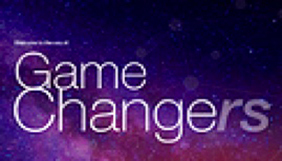 A few decades ago, people mainly communicated with remote colleagues via phone, fax, or pager. In fact, the majority of remote workers were telemarketers or customer service agents, often part-timers. Their main focus was phone-based work that required simpler forms of communication than today. In many ways, knowledge workers could only thrive while in the office, where extensive and necessary human interaction could take place. With Internet connectivity, modern tools, and the rise of social media, remote work became feasible and popular in the past few years. Simply put, employees no longer need to be in an office to excel at work. Companies can hire and retain the best talent from anywhere, as more candidates insist on a remote work option: 89% of workers would prefer a job that offers flextime. Companies reduce facilities costs, such as by leasing co-working space and doing away with a traditional office. Employees get to work anywhere at any time, and that’s critical to the 57% of workers who would prefer a job with no set hours. Employees avoid the hassle and expense of commuting, important to the 79% wanting to work outside of the company office. Remote-work preferences are creating a new work paradigm where by employers must provide flexible work options to attract top talent and acknowlegde how and when employees work best. That said, optimizing the performance of remote workers takes deliberate effort. At Fuze, we are huge proponents of practicing what we preach and have worked closely with our employees to create a positive and efficient remote work culture. The Fuze platform has played a critical role in creating seamless communications and frictionless, high-quality collaboration experience across voice, video, and messaging regardless of location. Openness, adaptability, and a non-hierarchical culture that values the work-life balance. The right hires: self-starters who are likely to perform well outside of the traditional office environment. A focus on performance and productivity versus attendance as the real measure of employee value. Accommodating the communication preferences of different generations. Implementing company wide virtual work policies and security measures. Developing standards for handling meetings and projects remotely and working with freelancers as part of the Gig Economy, such as by clarifying workstreams and responsibilities. With the rise of digital, enabling technologies, more companies will embrace distributed workforces and dispense with centralized headquarters. According to PwC’s talent and mobility report, the average number of office locations per company nearly doubled in a single decade. The trend is expected to continue, forecasting an average of 33 locations per company in 2020. As remote work continues redefining the modern office, it will be critical for businesses to arm teams with the right platforms to communicate and collaborate, as well as for leadership to create a culture that embraces remote work with the right expectations and values. One example is non-traditional work schedule that reflect a work-life balance and allow workers to do their jobs when it suits them. According to Fuze’s research, 86 percent of employees still value face-to-face interaction and employee engagement is highest among workers who spend three-to-four days per week working remotely. If engagement trends continue their current trajectory, organizations will be wise to make both physical and virtual office spaces accessible and easy to use, as well as to introduce hybrid work models that enable employees to be productive with little more than a laptop, smartphone, and headset. 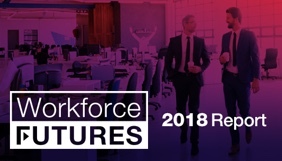 To learn more about the value of equipping remote workers to succeed, download our report: Workforce Futures: the role of people in the future of work.